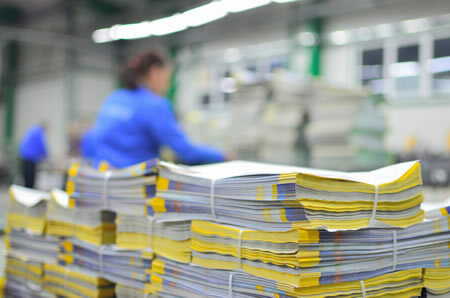 When it comes to increasing brand awareness and promoting products or services, there are many different methods available to choose from, including emails and distribution of physical materials. But while the ubiquity of online emails allows you to distribute advertisements and promotions with more ease than ever before, physical flyer distribution can be significantly more effective, helping you to attract more attention and generate more interest from prospective customers. Although promotional emails and flyers are both considered disposable, people are far more likely to have a glance at physical objects. Emails, on the other hand, are more likely to be deleted without even being opened. As a result, flyers are instantly more effective than emails, as people are more receptive to them. This means there’s a higher chance that potential customers will show interest in what you’re promoting. Emails tend to be short by their very nature. Flyers, meanwhile, can contain long copy, supporting facts, and persuasive arguments that get the reader more interested. Flyers can also use colours and graphics to evoke a specific emotional response in the reader. This is much harder to accomplish in an email where formatting options are often limited. One of the main reasons why emails aren’t as effective as flyers is because they’re often visually boring. Many of them feature a lump of text and little more to attract the attention of recipients. This is a highly ineffective way of promoting your products and services, as people won’t be able to visually identify why they should purchase or make use of them. Conversely, flyers can feature colours and photos with text in a well-formatted and visually appealing way. Want to discover how flyer distribution can help promote your business? Contact Independent Letterbox Distribution Company to learn more or to take advantage of our affordable flyer printing and distribution rates – just give us a call on 1800 538 837 or enquire online.